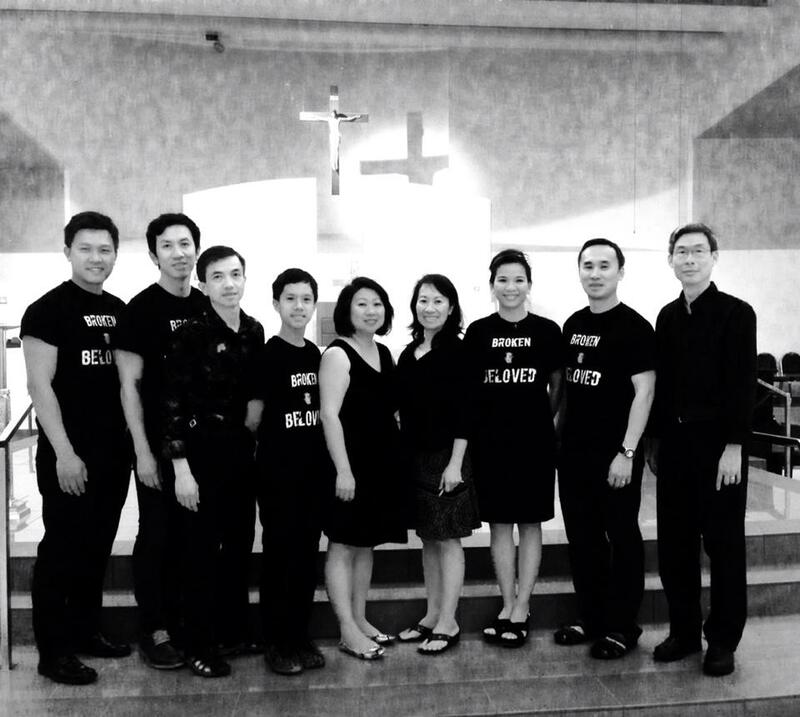 Did you know that the Northern Virginia-based Catholic Vietnamese-American music ministry Heartsongs: Tam Tinh Ca and St. Philip the Apostle Catholic Church collaborated to bring a summertime Eucharistic Adoration concert series to the Catholic community in Falls Church, VA? The format was simple: praise, adore and worship our awesome God during Adoration in a dark, candlelit, and music-filled setting. The hour and a half events also included a two-part homily based on the theme of the Adoration. In July, the theme was “The Eucharist”, and in August, the theme was “Faith, Hope and Love”. On September 12, the theme will be, “The Scandal of Grace”. We called the series: “Lead Me to the Cross”, based on a song by Brooke Fraser written for the Hillsong ministry. “Lead me to the cross where your love poured out. Bring me to my knees, Lord, I lay me down. Bring me to myself, I belong to You. Oh lead me, lead me to the cross.” The imagery of this song is conveyed through the candles lining the center aisle of the sanctuary leading up to the altar which is surrounded by candles. At the first two events, we met the congregation was met in the St. Philip’s narthex. We all held candles, prayed together, and practiced singing the Taize hymn, “Tui Amoris”, to ask the Holy Spirit to come to us and fill us with the fire of His love. Then the congregation processed into the dark, candlelit sanctuary and chanted the hymn, and laid their candles on the steps of the altar and found their seats. 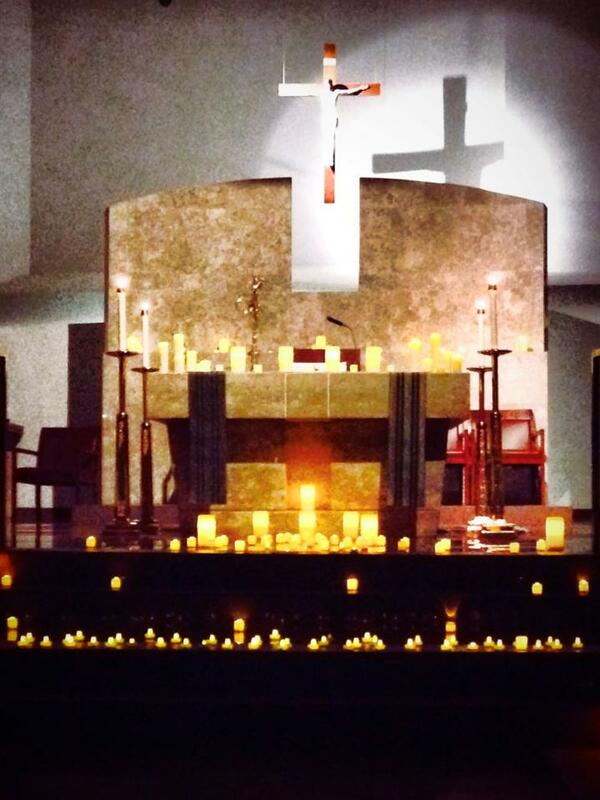 The sanctuary looked extraordinary once the sun fully set and the “runway” of candles led you to focus on the altar. Adoration is also a time when our ministry members really benefit spiritually from the experience and peace that being in the presence of Jesus offers. 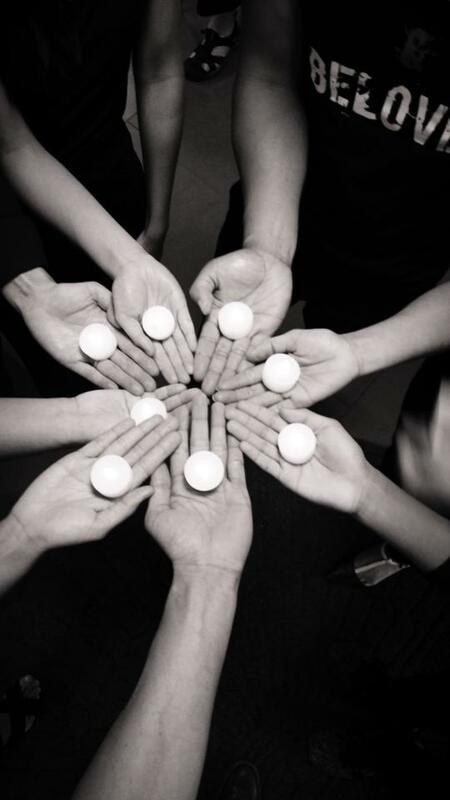 Oftentimes, when we are performing, we are so focused on the mechanics of delivering a performance. With the Adoration series, since we’re not on stage, but instead sitting in the darkened choir area, we’re given the opportunity to really express our prayers and intentions through song. 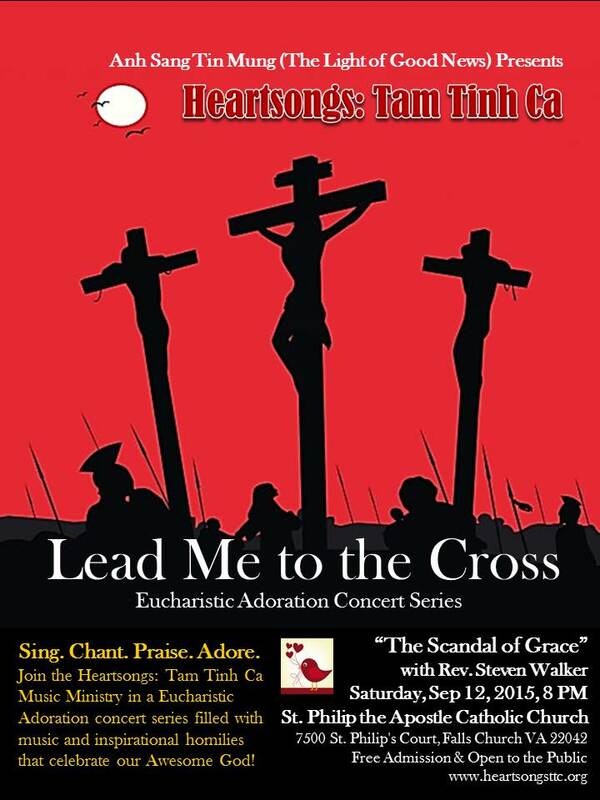 If you missed the last two Adoration events, you still have the opportunity to experience the final Adoration event on Saturday, September 12, 2015, when Father Steven Walker, Parochial Vicar of St. Philip’s, will speak about–and Heartsongs: Tam Tinh Ca will sing about–“The Scandal of Grace”. 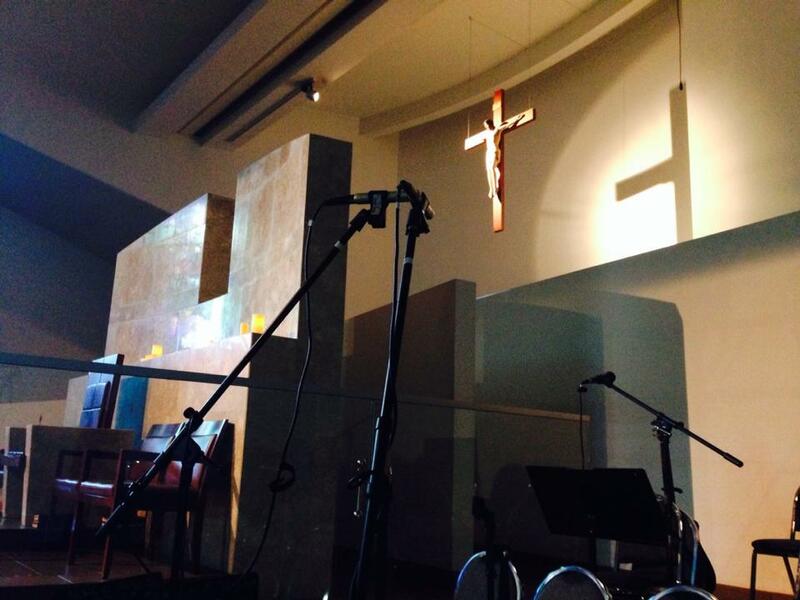 See you in the narthex at 8 PM. We’ll bring the candles. St. Philip Catholic Church, 7500 St. Philips Ct., Falls Church, VA 22042. For more information email mcm@arlingtondiocese.org. The Lead Me to the Cross Eucharistic Adoration series at St. Philip’s is Free and Open to the Public.